Do you find it difficult to get started on your journey to build an ecommerce business? What seems to constantly hold you back? Fear of failure? Not knowing where to start? All of the above? 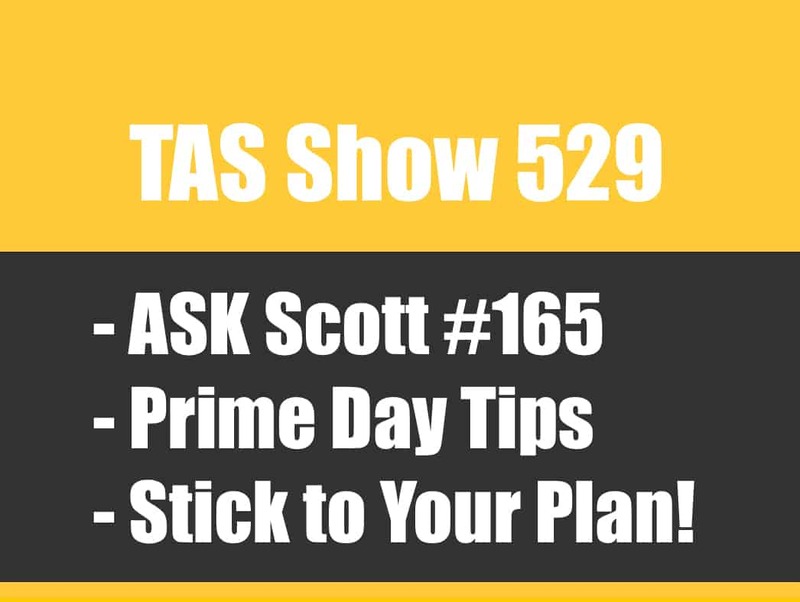 On this episode of The Amazing Seller, Scott welcomes a TAS follower like you, Aman, to the podcast to tell his story. Aman has struggled with many of the same hangups that you’ve faced on your journey and he’s here to give sellers like you hope! You don’t have to be an expert before you get started! Learn from Aman’s story and tap into the inspiration and motivation you need to move forward! If you’ve been around the TAS community for very long, you know that Scott is big on helping leaders like you find your “Why.” Have you found yours yet? How do you keep it in front of you? On this episode of The Amazing Seller, you’ll hear from special guest, Aman as he opens up about his “Why” and how it helped him get moving toward building his brand. Aman’s “Why” is helping to provide financial relief for his parents. Listening to Aman’s story, you get the sense that family is very important to him. His story is a great example for sellers like you who are trying to find that motivation to push you forward. To hear more about Aman’s story, make sure to listen to this episode! A huge struggle that many ecommerce leaders run into is figuring out what to do next. Have you struggled with that difficulty? What have you done to get unstuck and move forward toward your next objective? On this episode of The Amazing Seller, Scott and Aman talk about why it’s critical to zero in on your next action step and work from there. Don’t let the enormity of building your business sidetrack you from taking action on the next thing you need to accomplish. Learn more about this important topic from Scott and Aman by listening to this episode, you don’t want to miss it! Don’t underestimate the power of having the right mindset! One of the most important aspects of getting a successful ecommerce business off the ground is having the right mindset. You can have all the right tools and step by step guides on how to start a successful brand but if you don’t take the time to get your mindset in the right place and pay attention to personal development, your success will be fleeting. On this episode of The Amazing Seller, you’ll hear from Scott and his guest Aman as they discuss the significance of getting into the right mindset. Aman admits that at the start of his journey, his mindset wasn’t in the right place, it was all about getting money. Now he sees the larger picture! Hear about Aman’s story and find out what you can learn from it on this engaging episode! Thinking about the long-term is critical for success. Where do you see your business a year from now? What about three years from now? Do you have your eye on the long-term growth and sustainability of your ecommerce business or are you only focused on the here and now? To build a growing and thriving business, you’ve got to get a vision for the long-term trajectory of your business. While it might be more satisfying to cash in on the profits and successes of your latest product, in the long run, it’ll hurt your chances for sustained growth and expansion. At the end of the day, you’ve got to take a long hard look in the mirror and decide if you want to build something that will continue to grow and generate profit or if you are only looking for that quick fix. Hear more about this important topic by listening to this episode of The Amazing Seller featuring Scott’s conversation with his guest, Aman. [0:45] Scott shares a Facebook post from a TAS follower, Aman. [5:00] Aman joins the podcast and shares his story, the cliff notes version. [14:30] Aman talks about his mindset when he started out. [18:30] What is the current state of Aman’s brand? [23:00] How do you recover from losing momentum? [28:30] Building an email list. [31:00] Tips for putting together a giveaway. [36:30] What do you need to do next? [40:00] Don’t underestimate the power of mindset! [47:00] Scott talks about running an auto PPC campaign. [52:30] Why it’s important to think long-term. [58:00] Closing thoughts from Aman. …a real example how a touch list item turned into $10,000 and growing with no tools used. The cool thing is this was actually submitted by one of our TASers. That’s right, one of you and I went ahead, and I said, “You know what, I’ve got to go ahead and hear more about how this kind of all happened.” Let me read to you really quickly what Aman had posted in our Facebook group because I think once you hear this then you’ll know why I wanted to reach out to him. So, he’s totally upfront. He’s honest. I love it that he shared he had two failed products which I don’t really look at those as failures. I look at them as learning experiences because you learn a ton and you’re going to hear that on this episode and that’s exactly what he did. He learned a ton by going through this process and figuring it out and he went back to the original way that he was starting to look at products. He went away from what everyone else is doing and did the touch list and did things that were in his life. He started looking at his own situation, his own surroundings and it was like, “Aha. There it is,” and he went with it. [00:02:04] Scott: He went with his gut. He didn’t use any tools actually and he paid tools. He just went out there and he knew what he was looking for. He did a little bit of manual digging obviously and then he validated it and he went on and now he’s validated it three or four times. He’s been reordering. Now, again, if you missed the little theme I’m doing here, the product discovery theme, I did an episode, the last episode which was 473, TheAmazingSeller.com/473. I’m calling that The New Product Discovery 24-Hour Challenge. Definitely, go check that out because it goes hand-in-hand with today’s episode and it’s exactly what you can do as well by going through this process. All right. Now, the other thing I wanted to remind you if you missed that episode is I also had an announcement. We are doing a new product discovery boot camp. This is where we are going to go through this entire process over four weeks. During this time, we are going to go through product discovery mode in week one, week two we’re going to do market drill down, and week three we’re going to do product and market validation, choosing potential winners and then we forward into new final validation where we’re going to be looking at the sourcing and the samples. We’re going to be going through this live. What we’re going to be doing though on the first round here is we’re going to do this in beta. We’re going to have just about maybe, I don’t know, we’re deciding, 75 or 100 people go through this for retraining and then from there, we’ll eventually release it to the public but right now depending on when you’re listening to this, if you’re interested, it will be open. You can go ahead and head over to ProductDiscoveryBootcamp.com, register there and you’ll get all the information, all the details. It’ll also let you know if we are open right now or if we are closed working with that first group. All right. But then we will eventually open this up. It will be totally affordable. So, if you’re interested, if you want to go through this process, definitely go check that out. [00:03:51] Scott: All right. Cool. So, like I said, today we’re going to be talking about or what we’re going to be listening to is this conversation that I had with Aman and how he failed a few times then he went back to basics, he found his market, he found his product, and now he’s having a hard time keeping it in stock which is actually a good thing in a sense because it means he’s selling but you’re going to hear the ups, the downs, and kind of what’s he’s learned through this process. Now, let me just give you a little bit of a warning. I didn’t realize it when I hit record, but my microphone was not synced up with Skype so you’re going to hear a little bit of a tinier voice come from my side. It’s totally clear. You can hear it. It’s just not my podcasting mic. I apologize but you’re going to get a ton of value so definitely listen up. But again, I just wanted to let you know I know that my audio was not as good as it normally is. But anyway, all right, guys. I’m going to stop talking now so you guys can sit back, relax, and listen to this amazing conversation that I had with Aman. Enjoy. [00:04:52] Scott: Hey, Aman. Thank you so much for hanging out with me on the podcast. Man, how are you doing? [00:04:56] Aman: Good, man. Thank you. I don’t know what to say but I appreciate everything that you’ve done for people like me. Honestly, thank you. [00:05:03] Scott: No. It’s a pleasure, man, to be able to finally hear from you and I’ve seen the post that you did in the TAS group and I really want to dig into that because I think it’s interesting. Number one, you went at it a little bit differently and I kind of want to hear the story because maybe you didn’t start out that way and then you said, “You know what, I’m just going to go and see if there’s something I can find that’s not necessarily like the traditional way of people are finding products.” So, yeah, I’d really love to hear more about this. So, maybe, just tell us a little bit about like how you even got the idea to get started in this and maybe just a little bit more about you. [00:05:41] Aman: Sure. I’m based out of Vancouver BC, Canada and I’ve been running my own businesses since 14, 15 years old, mainly service-based so when I was younger I have like an entertainment company which is DJing and doing shows and stuff like that. And my current I would say 9 to 5 is my IT consulting business which I still do, 9 to 5. That was my formal training in school as well, but I’ve always had a passion for music and I also have a recording studio which I manage in the evenings and I’ve been really busy as well. Plus, I’m a family man. I’m married with two beautiful girls, 12 and 7, so that takes a lot of my time. [00:06:29] Scott: No, you’re not busy. [00:06:33] Aman: I don’t know. I just always had a bug for – I get bored really quick, Scott, to be honest with you. [00:06:39] Scott: I can relate, yeah. [00:06:40] Aman: Yeah. To be honest with you, I’ve always wanted to do something or find something that maybe my parents could manage or look at because my goal was to work. Like, my reason why like I’m a big believer of like the reason why and I read a lot of personal development books. I invest a lot of time and money in myself to get to this point and my reason why for kind of jumping into Amazon was to retire my parents and stop working because they’re almost 70 years old now and I don’t know. Just one day I was just going through like I listened to a lot of podcasts and yours came up on a noteworthy and I flicked it on and it was the episode where you have that couple where they were crushing it doing retail arbitrage. [00:07:36] Scott: No. That’s okay. And that was quite a while ago now. [00:07:38] Aman: Yeah. Quite a while ago. So, this is going way back, and I must’ve listened to that podcast 12 times. I was so mesmerized. I was like, “Wow. Are you kidding me?” So, I probably listened to that. I started doing a bit more research and then I found some other blog post and stuff like that because I wanted to get – I’m the kind of guy like I’ll dive in, but I just need enough information to get going. I’m a risk taker. I don’t know if that’s a good thing or bad thing. So, I listened to your podcast and I went out and I started doing retail arbitrage. I found a bunch of items like most of us start off around my house. Like you, I’m a big photography geek so I had some photography gear that I wasn’t using anymore so I flip those on Amazon and they sold in like three, four days and I was in. I was hooked. I was like, “Wow. This actually works.” And then at the same time, I still listen to your podcast. I run this in every single one of them except probably for the latest one if there’s one out this week. I listened. I kept listening. I kept listening every day in the car because my trek to and from some of the sites are like an hour and I just kept getting the private label bug in my ear, like private label, private label, build a brand, build a brand. So, I was kind of simulating all this information that you’re talking about and then one day I was basically on YouTube in one of those sponsored ads, ads came up for a course and I’m not going to lie. I signed up for the course, but I didn’t do anything with it because I’ve always had like, I don’t know if I should say this, but I’ve always had a problem with power with like authority and I never really do what people would tell me to do. So, I saw the course and it was like very linear and very like you need to do this. You need to find a product that XYZ and I had a problem with that and I’m like, you know what, this doesn’t work for me. Because if I’m doing this, there’s probably like a thousand other people doing the same thing. [00:09:37] Aman: So, I took what you were teaching about a brand and that’s what really stuck to the back of my head and the only thing I knew like I have no problem saying it like I’m in the musical instruments category and I found something that I was kind of passionate about which is a complete opposite of what people tell you and the reason why I did that was because if you’re going to build a brand, there is some sort of emotional tie to it like I don’t think you can build without it. And again, I almost went the other route but it was one of your episodes where you kept hammering the point like you’ve got to find something you can build a brand with and build an email list, build a business with and that’s what did it for me because I obviously probably would’ve stuck with it and been miserable which I did do the other like I did try the other way just to see what would happen. And you know what, I lost money in the first part. I think it was like a dog collar or some of that or some that help that prevent some dog from barking. And I don’t even have any pets. So, you know what I mean? [00:10:40] Aman: The second product it was like an LED light which the products failed because of me because I just cannot commit to providing value for whoever wants to buy them basically. [00:10:59] Scott: I got you. You’re basically at that point just trying to find something that you could sell to someone looking for that one item. You weren’t thinking outside of that like, okay, this one person is going to buy this but they’re also going to be led in by these other things that could lead them. So, you weren’t thinking like bigger picture. You’re just thinking of like, “Can I get this thing to market? Can I get it to be ranked? And can I maybe drive some traffic to it with pay-per-click?” And I was kind of like probably your main mindset and then if you could, well cool. I got something. It’s kind of like retail arb in a sense, right? You just found something you could duplicate over and over and over again because, with retail arb, it’s kind of what you’re doing. You’re finding 10 of something. You’re listing it. They’re all gone. You know what I mean? And it’s funny. Just before I got on with you, my sons dabble on with the retail arb because he’s a kid and he wants to make a few extra bucks so I said, “That’s what you do.” He just called me up and he’s like five like pairs of golf gloves that you can buy for two and sell them for like 15. I’m like, yeah, why not? It’s like you’re going to spend $10 to make like $30, $40 so why not? You know what I mean? So, you’re at the point where you were like I’m doing retail arb. I see that it works but it’d be real nice if I could just find something that I could just reorder, right? Like that’s the big thing for a lot of people. It’s kind of like a digital product like when I was, again, our backgrounds are kind of similar. I mean I was in the – I still am. I’m a guitar player and I’ve done some recordings and stuff like that, so I know all that stuff. I started making GarageBand loops back in the day, so I could kind of tap into that market just before I even knew what I was doing, and I was selling them on eBay for like $25. It was like a little expansion pack and I was selling them but that was kind of like a private label in a sense because all I had to do is just keep printing new DVDs at the time. And that’s kind of I think what you were looking for but then you’re kind of like, “Well, wait a minute here. If I’m going to build this into something, I’m going to put all this energy into something like why don’t I just go after something I know and then I could build something and kind of be proud of as well?” Am I wrong in thinking that? [00:13:04] Aman: No. Yeah. Exactly it because I don’t know. I just couldn’t do just find – and it works for people. You know what I mean? It totally like however you want to run this business is totally on you. It’s just me I just wanted something that I could put my name to be proud of like you said. And if I was to sell it say later in the future because now I’m listening to these kinds of podcasts coming from your – the theme is like, okay, let’s build something and possibly can flip it. I’m not anywhere near that but it could be something I can build and maybe one day someone could take it over and make it better. That’s what I’m thinking. So, just from the get-go when I started anything in entrepreneurship or business, just for me, it’s got to be something that’s going to offer value and it’s got to be something that I can go out and probably say it’s me. [00:13:54] Scott: Now, let me just ask you a quick question though because I want to dig into kind of like and I always call it like your touch list item or an item that kind of you’re using. So, then did you just start to say, you know what, what am I into? Like what am I doing? Or what am I good at? Or what could I provide extra value for? Is that kind of like the mindset that you started going down and once you decided to go this route? And then you can also once you start to build that brand, you can start to leverage the assets that you’re building so now you can go after a little bit more competitive products maybe because you’re not just going after the one product and you’ve got like you’re going to do a giveaway with some type of boost group or whatever. You’re not doing any of that. So, it actually gives you more leverage to be able to build out that and once you get that market really focused, it becomes easier what the next products are going to be. [00:16:27] Aman: Man, I hope so, Scott, because it’s been a hell of a ride. This is one of the hardest things I’ve ever done honestly. Maybe because it was totally – like I said, I come from a service background where people pay me to come and do penetration tests or whatever it is or be on the boards for an hour at a club. It’s totally like this is way out of my comfort zone which was good. It’s something I wanted to do and just get out of the system and it was hard. [00:17:00] Scott: Let’s dig into that. I mean, if you don’t mind. I want to hear about like what is the hard part and let’s kind of, again, almost turn this into a little bit of a coaching call in a sense to where I can give you my advice moving forward. You don’t have to be specific on the products of course but like on those challenges because I get it. A service business is it’s not easy but you’re getting paid for what you do on that one time so it’s a service thing. You go on, you fix a problem, or you diagnose something or you’re putting new water filtration system and whatever. It’s done, and you can refill. People got a problem, you come out, you service, you do that. I get it. You build a website. I build your website. You’re done, bang, see you later. If you need another one, let me know. So, I get that, and this business is different, but I think once you understand that process, you build out those assets then it will be easier because, again, it’s working for you when you’re not doing the work necessarily which I think you can really appreciate because you do the work, you know what I mean, of all this service-based business. So, let’s maybe, okay, and just get me up to speed here. Right now, currently you have one product launched? [00:18:11] Aman: Correct. I have one private label launch, one private label product launch. [00:18:15] Scott: Okay. Under that brand? [00:18:18] Scott: Okay. And how long has that been selling? [00:18:23] Aman: Okay. I went on sale last year 2017 in near the tail end of September and that was so, again, I did things differently. I didn’t go out and get 500 units just because I wasn’t sure what I wanted to do so I did like half. I did like 250 units and the problem on my product is it’s a little bit more expensive. It’s landed around $30 and I’m retailing it for like you said like $10 above so between $40, $50 depending on how my split test go and it’s oversized as well. So, and because even the 250 units I had to ship it by sea so there’s that headache involved as well for the times in between. So, I did it in September and I basically sold them at cost. My thing was like and you talked about this on your podcast. Well, Amazon is basically a big search engine and it likes data. So, my thing was, all right, let’s try to manipulate the data as much as we can we get control of. So, my goal was to get it in and get some sort of sales history at whatever I can, and I want to sell them out. So, kind of like how you do your launches, you do the giveaways. I did a similar thing, but I was basically selling my first whatever it was, 200 units at breakeven. I probably lost a bit of money too because I wanted to get ranked to get to the point where Amazon knows I’m alive and the way I did that was because it’s in the musical instruments. I’m in the music business so I basically went to colleagues and friends which is nothing wrong with that and say, “Hey, guys, I’m launching a product. If you’re interested, let me know. I’ll give you a discount code.” And that’s what I did, and it was basically a Facebook group. So, and they helped me out and that was it and then I sold out within I think less than two weeks. [00:20:19] Aman: And this is where problems came because as you know inventory management it’s one of those things where you don’t really ever get a grasp of unless you’re scaled so big where it’s an automatic retention and I just couldn’t keep up. 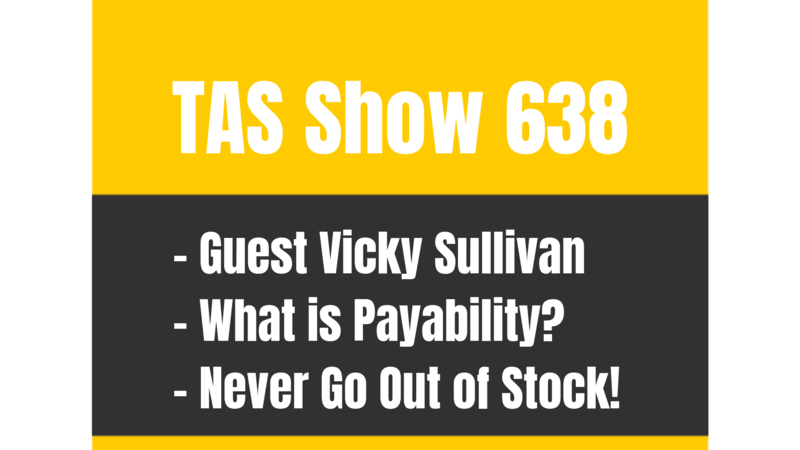 Like, to the listeners listening, the biggest problems in business is cash flow, if you can’t pull your money out fast enough. So, for me, the reorder took another 30 days and I timed it so badly that I missed all of Q4. My product came in December 26, my first sale was December 27. And as of today, I checked before I’m sold out. [00:21:06] Scott: Okay. So, let me ask you this though. Okay. And you’re right, cash flow is always an issue. It’s always like one of those things. It’s a balancing act and some people would be like, “Oh, I love this to be my problem because that means I’m selling.” Right. Cool. But it’s business. So, here’s my question like, okay, and I’m assuming your role in any profits or any money right back in to reorder. [00:21:30] Scott: Okay. Cool. So, the first thing I want to go back to, so you say you’re landing it for 30 and you’re only adding – so you’re selling it for 40 or are you getting your margin to where you’re making $10 a unit? [00:21:41] Aman: Sorry. All cost in Amazon fees, everything is around 30. [00:21:45] Scott: Okay. So, that’s 30. Okay. So, and then so then basically if you’re selling it, are you coming like are you pricing it at $40 then? [00:21:55] Aman: Initially, I am as of the last two shipments, yes. So, I’ve been averaging I would say $10 like you said. Whatever you create, that’s what I’ve been doing. [00:22:07] Scott: Yeah. Well, because when I’m done doing the math here if you’re landing cost is 30 but if you’re saying your $30 cost is everything FBA fees. [00:22:15] Aman: Everything in. Sorry. [00:22:23] Aman: Yeah. No, my apologies for that. Everything landed everything that’s including all the Amazon fees and then all I did was jack. I just put $10 on it just to see what would happen. I’ve slowly crept up since then so I’m at about a 23% margin right now which is honestly for me it’s fine because being in it like I’ve got friends that are big sellers and other stuff and they’re averaging around 17% to 25% anyway. [00:22:50] Aman: And it’s typical. [00:22:51] Scott: Yeah. And not all products are going to be a 30%, 40%, 50% margin. Like you’re going to have some and to me, this is just the first one, a whole point of many. Okay. So, one of the big issues for you, right, is running out of inventory. You’re losing momentum. Once you get the momentum, you run out and then you got to kind of start over again in a sense and you might have to do another discount to get sales or increase your pay-per-click to get eyeballs or if you have an email list, you have to let those people know and then you have to give a discount like all that stuff happens. So, key here is going on inventory. That’s not easy but especially when you have a more expensive product. Let me ask you this though, did you reorder? Okay. I mean, how many times have you reordered at this point? [00:23:38] Aman: So, this was going to be my third reorder and every time I reorder I basically doubled. So, I’m almost bringing in like a 20-foot container this time. [00:23:49] Scott: Okay. So, my question is this though is when your order is being shipped to you and it’s going to be checked into Amazon, have you already placed your next order yet? [00:24:03] Aman: The problem has been cash flow. I’d love to like I already know that when this order comes in, it’s going to last maybe four weeks. [00:24:10] Scott: Okay. Well, here’s what I’m saying though. So, you’ve already had your first or second pay coming through. So, the way that I look at it is, okay, let’s say you’re even just charging $30. When you get that $30, you’re basically getting the money back. You aren’t taking any profits so you’re taking all that money. So, if you get a payout of $5,000, that $5,000 could immediately go to pay a deposit because really all you should have to pay is a 30% deposit to get the orders started and you don’t have to fund it until the rest of the payout. You don’t have to really unless your supplier is different but all of ours have been 30% down. So, like right now I could place an order for $3,000. I can place my next order for a $10,000 order. And then once that order is due, I’ve got enough money that came through the door from my sales that I blew out of to then pay the $7,000 on the backend. You see what I’m saying? [00:25:09] Aman: Yeah. And with this order now I will be able to do that and also, I went to my bank and had a buffer. [00:25:20] Scott: Okay. Yeah, I’ve done a credit card, 30 days. [00:25:22] Aman: Exactly. So, I’m ready this time. So, once this order gets checked in, I’ll have the next order basically ready to go. [00:25:33] Scott: Okay. And that’s just again, I mean, it’s a good problem to have though. I mean, honestly, I mean you’ve proven the concept. You’ve proven that these things will sell. You’re at a higher price point which again is going to eliminate a lot of competition because it is going to be harder with someone else who’s just starting. Let me ask you this. How many units do you estimate that you could sell? If you’re in stock and you were up and running like what are you looking for like what is it going to be? Ten units a day? Is it going to be 20? Where do you see this when you’re fully rolling? [00:26:04] Aman: I think I can do almost 20 a day. I’ve been averaging, every week it’s been incrementally growing. The weekend for some reason, again, this is my first time doing it. The weekend had been really slow, maybe five, maybe ten if I’m lucky but during the week I’m doing 18, 19. [00:26:26] Aman: I’m creeping up to 20. [00:26:28] Scott: Okay. That’s great. [00:26:29] Aman: Again, it’s a great problem to have but then every time that happens, exponentially, my inventory gets cut. So, what should’ve lasted me three weeks has lasted me a week-and-a-half. That’s a balancing act too where you don’t want to raise your price to slow it down too much like I’m okay with like a couple of bucks here and there but the people that are like doubling their price just to try to slow set. To me that hurts you more than it helps you because I’d rather blowout of inventory, let it be sitting there, and then from there when you get back in stock, you kind of dial back in again and all of a sudden it’s going to remember where you were to rank so it’s going to be easier to rank that way than versus you to slow down. But you could throttle it a little bit and you can test your pricing at that point too. You could say, “Let me add a few bucks and see what happens,” and see if it does slow it down. Now again, you have to let that go more than just the weekend because the weekend there’s your slow time so that’s not going to really give you a good gauge. You have to do it like for a Monday or Tuesday or middle of the week, whenever your busier days and give it some time to do that. So, yeah, again do you think that you validated though that this thing is going to sell for you now? [00:27:38] Aman: I think so. [00:27:39] Scott: Yeah. I do too. Yeah. [00:27:42] Aman: I’m definitely going to go all in. All chips are in, so this is going to be – it’s all on me now really, Scott. [00:27:50] Scott: It really is. [00:27:52] Aman: Yeah. I got to make it work and there’s some stuff that I have not done yet just because of time and I’ve had to prove the system. For example, if I take the brand to where it’s going to be showcased in the public per se like I’ve got a website, stuff like that but I’ve never really said, “Hey, guys, we’re in business,” and I’ve got to definitely work on the email list. To be fair, I don’t know if this is like I haven’t had an opportunity to actually use it yet because I’ve never had enough stock so I can do blast but that’s definitely a priority for me. 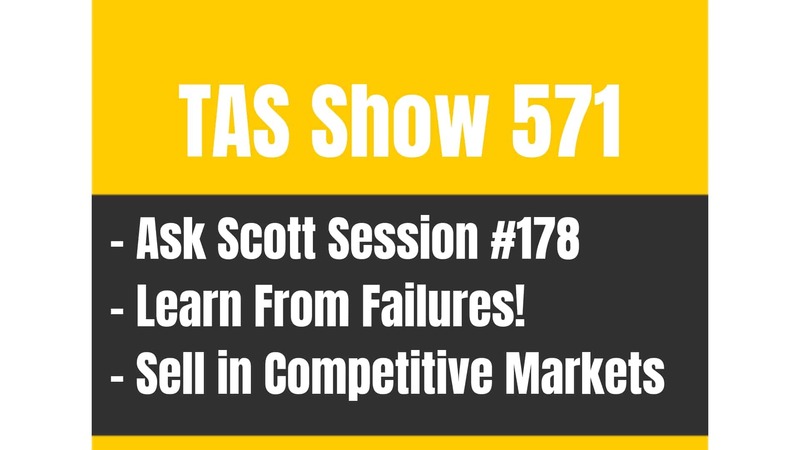 [00:28:29] Scott: But could you build an email list even without giving away your products? So, could you do it with related products that you know better similar so that’s what I would be doing? And I know it’s a little extra money out like even if you just did on a small scale and you said, “You know, I’m going to get it out there into community. I’m going to take a couple of $100 for the price and then I’m going to,” you could maybe have one of your products as part of it so that way there it’s tied together in a sense and then you have that. You’ve gotten people to raise their hand and even if you spent $500 or $800 in this whole thing, you’re then starting that email list and you’re going to start to get a Facebook fan page or group started naturally without you even having to do anything. So, that would be something I’d be doing. As far as like, again, we’re brand building at this point. You are in this for the long haul. I know you are and because of that, why not start to slowly build that and then that’s going to start to really get its own momentum because you may find that your thing is being shared in other popular groups and all of a sudden, you went from you’ve gotten 300 emails to 1,200 emails and then to 2,400 emails and you’re like, “Wow. Now, I got this other asset that when I do run out of inventory, I can get right back in stock and get my stuff going in like two days.” So, I would say that would be a priority to for me. That would be one priority, obviously, balancing the inventory and all that stuff, and then I’d be thinking do you have like product 2 and 3 kind of in the background kind of where you kind of know where you’re going to go? [00:30:05] Aman: Yes, I do. So, with my product, I’m going to do different variations so that’s going to be priority for I would say the first two quarters and get the capital going and then I’m also working with other related product vendors that are well-known like branded stuff and see if I could cut with bundles. [00:30:28] Aman: Because I’m just trying to differentiate myself in just by selling some products. One of my giveaways that we’re just talking about, I’m working with a company now. I’m like I want to sell this stuff like I don’t want to just wholesale it. I actually want to bundle it with my product because here’s what I do and they’re totally on board with it. So, that’ would be one of the giveaways so I’m just waiting for them to send me the product and then that I’m ready to roll so I’ve already like I’ve signed up with MailChimp. I’ve got all the rules done. Everything on the back if it’s done. It’s just a matter of creating the Facebook page. Now, actually a question for you, Scott. Would you recommend like for the giveaway a picture or a video? One that you had better results with? [00:31:19] Scott: Yeah. Great question. Love it. Okay. We’ve done a picture of the bundle and then what we recently did is we just created a little gif so a little kind of like a movie in a sense, but the picture is kind of rotating through almost like a slideshow but it’s actually where they’re not sliding. It’s more of where it’s almost like they’re fading in and then going to the next one and then going to the next one. The other cool thing is when you do that, you can turn that into a Facebook ad and when you turn that into a Facebook ad, we’ve gotten really good results just from turning those stills into an animated little gif. So, that’s another great thing and I’m glad you brought that up because that’s a great thing you could do, and you can test it. Now, it may not work as good for your audience as it does for ours but in ours, it made a huge difference. Our cost per click went way down. We had more engagement. We had more sign-ups, all that stuff. So, I would say, yeah, I would just take that. I’ll actually, in this episode, I’ll leave a link. I don’t have it on top of my head. There’s a little service actually. Chris, he’s used it and might be like Gifi something or another. I’ll drop in the show notes and I’ll give it to you privately but, yeah, literally just take those four or five images if you want and I would definitely recommend doing more than just one image. If you’re going to bundle it, that’s great and then show them individually what’s happening. [00:32:37] Aman: Yeah. That’d be awesome. [00:32:39] Scott: Yeah. I would definitely do that because, number one, like I said when you do run Facebook ads, you’re going to be able to turn that into like a video and now the video is going to be seen differently by Facebook and your cost per click will go down and then probably from there your conversion will go up. So, there are some cool things you can do there and then just on the static page itself on the landing page, you’ll have that animated little slide presentation of the different products. Yeah. So, I would definitely do that but, yeah, and I think you’re totally on the right track though. I mean, you’ve got everything in line. Your biggest sticking point is really the cash flow situation which I think you’re on the right track there too because you’re going to do a little bit of a – and I’m not a big believer in going to borrow a bunch of money but if you have something you can get a buffer like you said we’ve got a buffer. It’s a credit card with a $20,000 line of credit or whatever and from there, if we want, we can put it down payment and then pay that when the actual next payout comes in and then we’re always like a 30-day, it’s almost like a 30-day line of credit. So, I think that’s smart for you but really your biggest struggle to me is really just being able to keep in stock in how do you order your next units when you you’re struggling with cash flow over on the left here. So, my recommendation there on that too just while we’re on that topic is I would try, again, if you’re doing variations, see if your supplier will do a lower quantity or split it up. So, let’s say now you’re doing 500 and because they say, listen, we only want to do 500 then say, okay, do 250 of red and do 250 of black and now you’re still bringing it in on the same but then you’re able to get another variation there. If you can’t afford it, then I would try just do 100 of that new variation. And the cool thing is, is when you get the variations, you may run out of a stock on one but that will not kill your listing now because you’ve still got other variations that are open. And that’s what we found. Love it. [00:34:46] Aman: That’s actually good. I just wrote that one down. [00:34:49] Scott: Yeah. I mean, now we’ve got one of our SKUs that has four variations, soon to be six, and the cool thing is we’ve been out of inventory on one of those and because of that in the past we would’ve been out completely but now because we had that, those other variations were still selling and then we can take our pay-per-click, pause it on the one variation that you’re driving sales to and just point it to the other variation now and the listing still stays live. So, that’s another thing that I’m a big believer in variations if it makes sense and in your case, it sounds like it does, so I would definitely do that. [00:35:25] Aman: Yeah. Like I said, I agree 100%. It’s just all on me. I’ve got to figure it out and just get it done. Like, you said, you got to take action. My biggest thing. I appreciate it when you yell at me. Honestly, I do. [00:35:43] Scott: Those are my polite kicks in the butts. [00:35:46] Aman: But that’s the way I’ve always learned. I’ve always needed something to be assertive to say, “Listen, if you want to get something done, you’ve got to go and do it.” It’s one thing that’s really important to me. So, having an opportunity to talk to you about this and like actually I have some PPC few questions when we get to the chance, but it really helped because now I can focus on the things I need to get done. Because it’s so inundated with all these other things like, oh, I need to build a list and sometimes you get overwhelmed and you stop prioritizing what needs to get done first. [00:36:17] Scott: Yeah. I think writing down all of the different things that you want to do so you almost create your own personalized plan and then you kind of work backward and you go, “Okay. What one needs to be done next? What will benefit the business the best next?” It’s kind of like and also with even with learning like I call it just in time learning. I learned that from Pat Flynn. It’s kind of like learn what you need to know now. Also focus like forget about all the shiny new hacks and tools and this, that and the other thing. Just focus on what you need to do next like what can you do next? And what’s going to move the needle next? Like, that’s what you got to focus on. I think that’s our biggest struggle, all of us including myself. It’s like there are 100 different things you can do. I just heard this the other day. I mean, everyone here is about the 80/20 rule. Well, it’s actually and I heard another guy say, “It’s not the 80/20. It’s 98/02.” There’s 98% that doesn’t do anything or barely moves the needle. There’s 2% that you should be working on and I agree with that. I might adopt that now because I believe that. There are so many things we do that don’t really, they don’t move the needle. But there’s 2% of things that really do that we should be focusing on or at least at that stage in your business. So, I’m glad you said that. So, just to wrap up on this though, because I really want to kind of just let people know like you didn’t go out there and you might have started that way, but you didn’t like settle on just a product that had numbers and that you were going to try to make it work. You could do that retail arb all day long. You did that. You could sell. You could buy stuff low and sell it high. That’s been happening for years and you can still do it if you just want to make a quick buck. But if you want to build a brand like you are saying, look around, do the touch list. The touch list works for you. You went back to it almost a year later and there it was, that kind of thing. So, don’t like discard that. I’m really talking to people that are listening right now. [00:38:11] Scott: Don’t discount that touch list item because a lot of people they don’t realize or just even the thing that you’re dealing with like right now like I use my Jeep example. I was shopping for a Jeep and then all of a sudden I’m like, “Holy crap, there’s this whole market in jeeps. I kind of like jeeps. Maybe I want to sell jeeps though. I don’t know.” Then all of a sudden, this new world of opportunity opened up to me, but I never would’ve known it. You know what I mean? So, don’t just go after and like you said, if someone else is giving you the formula necessarily or to find this exact criteria, then everyone is going to find the same criteria and that’s why I like doing it a little bit differently where, yes, you want to make sure that you can get some sales. Yes, we want to validate that but in the same breath, we don’t want to use all the same metrics and criteria that everyone else is using. And we also want to go from more of an organic approach to where is there something that I feel like I could add value to this market and where can I maybe give some of my expertise and even potentially some content in the future to help people in this market. And if you can do that, build the brand. Like you said, selling that in the future is an opportunity now. Building these assets are only going to strengthen the brand, giving you more leverage, all of that stuff. You’ve been listening long enough. You know my spiel. [00:39:32] Aman: Yeah. I agree. I mean, like when I first started, I still remembered this like when I sent the money out for that first product, I knew I should’ve done it. It was that immediate regret so right off the bat I’ve lost. And there’s nothing wrong like with people want to follow a system like you have a certain system but you also preach, “Look, think outside the box.” The Amazon world is too big. You can’t shoe hole and pigeonhole yourself into a linear base system. In my opinion, it’s too big for that now like you can’t just take a course and say, “Follow these steps XYZ and you’re going to be…” You may get lucky but at the end of the day, it’s more to that. I think that’s why I follow your podcast is because you preach long-term. You preach business. You preach brand like I knew from the get-go why I started with this particular product. I’m looking to two to five years. That’s where I’m at. That’s why I started all my other businesses. And it frustrates me because where all these Facebook groups and when I posted that I had all these people come up to me asking me all these questions. I’m like these aren’t the right questions you should be asking. You should be asking me like, “How did you think about building a brand?” I’m getting like, “Well, how did you launch?” I’ll respond. I’ll be like, “Well, what’s your product?” “Well, I didn’t pick one yet.” So, you should be asking me like, “How did you decide on your product?” I guess my thinking is a little bit different because I’ve been in business a long time, so I mean it’s all mindset and that’s where a lot of the courses don’t teach that part and that’s something that you preach which like even you have those few podcasts where you just talk about mindset and personal development. [00:41:36] Aman: Those probably help me those most. Those what gave me the confidence to be like, “Okay. I’m going to pull the trigger and spend $10,000 and wire it off and see what happens.” I think prior to that, I probably wouldn’t. Just been scared like, “Oh my God, I’m sending money overseas. I don’t know if I ever going to get it back.” You have those doubts. When you’re put in a position where it’s like, “Listen, you got to pull the trigger because you’ll never know.” Like, what’s the worst that could happen? There are so many things that you think about. [00:42:04] Scott: You learned a ton just by going through that. I mean, just internally in your own mind how I felt and all that stuff, but you learned a ton through that process. So, it’s funny. Another good buddy of mine that I learned of him through the podcast and he was actually on Shark Tank. I had him on, Andy Humphrey. He calls it kind of like you’re going to school for private label. It’s part of the cost but again he comes from a similar background as you. He’s been in other businesses but if you’re just starting, you haven’t been, and that’s why I want to bring people like you and even my own story and other people’s story that I’ve been through that. They understand that it’s the process. It’s a business. It’s a living, breathing thing that it’s going to work if you want it to work or you need to pivot and find the direction and that’s what you’ve done. So, that’s why I think, not even I think, I know that you’ll be successful at this one way or the other and you get it. And it’s funny. I just want to go back to the mindset thing. 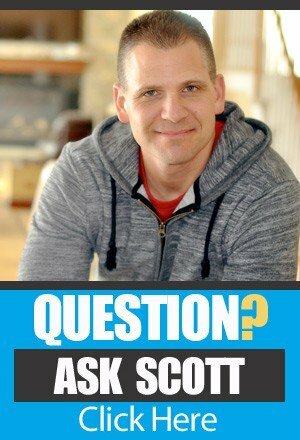 Because a lot of times when I’m recording something like that, I know people are showing up because they want to hear, “Scott, what’s the next thing? What’s the next Amazon change? What’s the next Amazon hack?” Which I don’t really give hacks. I give like strategies and tactics but I always kind of reinforce that we’re there to build something long-term and we’re using Amazon as a launchpad like that’s I’m hoping that’s the way it’s coming across. But it’s funny because someone on my team, Joel Bower, a good friend of mine and he’s part of our team, he’s big on mindset. He’s like, “Scott, you need to start incorporating more of that in there because that’s where people are getting hung up.” And I always think like, “Well, do people really care about it as much as I think they should?” But I guess they do. So, I want to thank you for letting me know that and I’ll let him know that because that is things that we should probably be even talking more about because I think that’s one of the biggest sticking points for a lot of people is the mindset, just getting past that first initial thing. [00:44:02] Aman: Yeah. I agree. Like the tools are there but you need to understand how to use the tools and to use the tools for your advantage, not for some sort of like a cookie-cutter business. You need to understand how mindset works and that’s where like people yourself and some other podcasts I listen to, they’re like this is a great business to be in but it’s all on you. It’s not buying a membership to XYZ or Jungle Scout or whatever it is. I’m personally using those tools, I’ll be honest with you, but it’s one thing to pay for these things but it’s another thing to actually understand what you’re trying to get into and what the outcome is going to be before that predictability factor and that’s something that I was forced to because like I understand how businesses work. Yeah, I wasn’t prepared for every single situation like I’ve never been in a situation where I’ve run out of inventory so I’m definitely learning something. [00:45:24] Scott: Yeah. No, I agree 100%. It’s hard to get that message through but it’s totally there. That’s definitely things that we’ll be incorporating more here on the podcast as well. All right. So, I want to respect your time. I wanted to answer like you said you had a couple of pay-per-click questions. Let’s do that on the fly here if you don’t mind and people that are listening, this wasn’t planned. This wasn’t scripted, so I hope I can answer them and I’ll have Chris Schaffer here to help me out but, yeah, go ahead. Shoot away. What you got? [00:46:00] Aman: Yeah. So, my question to you is obviously I’ve listened to the podcast, I’ve watched your training, so I follow it to a T. I started with a manual campaign, I did my homework, get the keywords. It had been successful for me. Like, in Canada, I do sell in Canada as well and I had no idea that like everyone is like saying the market is really 10% of what’s coming to you. I sold out in like seven days there, so I did really well there, but it was a campaign that did it. I had it totally tuned the way you guys recommend. I did the keywords and a lot was going in every few days and cleaning it up. I did the same thing here. ACOS is around 16%, something to that. [00:46:44] Scott: Nice. That’s great. [00:46:45] Aman: And the question for you is I know that you always have the low hanging fruit sort of auto campaign. I haven’t done that yet, but it would be nice to catch some of that. I just don’t know how you set that up in terms of your bid, what you kind of like in your budget so I would like to implement that just to kind of catch some of that low hanging fruit. [00:47:05] Scott: Yeah. It’s funny too because there’s actually a campaign that we did that with that’s outperforming some of our other campaigns, so we’ve actually increased the budget on that one to override the manual ones. Yeah. I mean, we were like at one point we’re like I think it was 10% or 12% ACOS. It was amazing. It is still working. I haven’t touched it. I’ve just kind of like, “Oh, I’m going to leave that one alone.” So, you just don’t know but, yeah, what you’re talking about is you got a manual campaign. It’s doing pretty well. What is your cost per click on that? That would be my first question. Like what is your maximum, what’s your cost per click that you’re paying for a click up to on that campaign? [00:47:45] Aman: I think it was like $0.79. [00:47:47] Scott: Geez, that’s good. So, what I would do probably just starting is I would start low on the auto. I would start low at like maybe even $0.15 or $0.20 and I would just let that go and I put like a $25 or a $30 budget on it. You probably won’t even come close to spending that but this way here I would look at, the very first thing I’m going to look at is impressions. I’m going to say, “Am I even being visible at that low of a bid?” That’s the first thing. And if I am, if I’m getting impressions, now I have a chance to get those clicks. Now, if I’m not seeing impressions then I have to raise my cost per click, so I would then bump at maybe $0.10, let it run another couple of days and I would see what that does. Until you start to see those impressions, until you start to see some of those clicks, that’s how I would do it. And then just again you’re refining. I would look through the data on the back end of your search term report and I would start to see what the auto campaign was bringing in. Are there any keywords that’s technically competing for the ones that I’m going for in manual? I’d look at that. But the very first part is just finding that low hanging fruit like you don’t care because your one campaign made a lot of budget. Let’s say it goes out of budget but now your auto campaign is going to clean up any of that other stuff as long as your competitors aren’t there actively over you as far as how much they’re bidding. The cool thing is, though, let’s say your competitors run, their budget runs out. Well, your auto campaign is there to pick up the scraps. And that’s what I really like about that. So, for you, it’s like there’s no risk really. It’s like you’re doing an auto campaign. You’re going to pick up some additional data. You’re going to pick up some additional sales and you’re going to be able to learn what that threshold is to have that be running in the background and you may find out that that might perform better than your other one. So again, yeah, I would definitely do that like that would be number one, definitely do that. [00:49:44] Aman: Okay. Question for you. If you do end up finding words or keywords that are competing, in that case, would you like pause those words in the auto campaign or make new words? [00:49:55] Scott: Well, in the auto campaign, you have to go and say negative. So, you have to go negative against that but, yeah, you would want to do that. Or if vice versa, let’s say it’s the other way around, then what I would do on the manual campaign is I go into that keyword that you want to not show or show less. I just put it like a $0.10 bid. You know what I mean? That way it’s still active. It’s not paused but it’s probably not going to get any impressions and if it does, you got them for $0.10 or less. You know what I mean? It’s kind of one of those things. So, I’ve done that too where I’ve got manual keywords that I’m willing to spend $2 a click for but then all of a sudden I see that those are bringing my ACOS up and I don’t want to completely get rid of those because I may still find that I can get them at a lesser of a click so I’ll just bring them way down like $0.20 and I’ll see if I can still get impressions and I’ll see that I’ll still get impressions, I’ll still get some clicks and I’ll get some cheap sales. So, yeah, that’s kind of how I would do that, but it sounds like you got your manual one pretty much dialed in. I mean, anything like under 20 is good, especially because your profit margin is over that right now. So, when you’re first starting, you kind of go back to that too like people want to ask about launching and stuff like that like one of the things is like you need to aggressively be using pay-per-click or you need to be aggressively using your email list to basically get sales. And like you were saying in the beginning, you might have lost some money. Well, how many businesses opened up their doors to have a grand opening and spend $5,000 or $10,000 to get awareness? A lot. You’re not even spending near that. You’ve got product sold, you got customers now that have purchased it. You’ve got data on your pay-per-click and you might have spent a few hundred bucks. So, to me, whenever we launch a product it’s not about even breaking even really. It’s about just, can I spend very little money to get myself going? Cool. If I can break even, that’s a bonus. [00:51:54] Scott: If I can make a few bucks that’s even better and we’ve done that probably around four products in the new brand. We’ve been able to launch to our email list and we’re actually able because we only discounted it I think 25% or 30%, we were still able to come out with a few hundred dollars profit after the launch was over. So, but yeah that’s what I would do with a pay-per-click though. I would definitely dial that in as far as your auto campaign and try to get some of that low hanging fruit. [00:52:21] Aman: I appreciate that. I mean, like you hit the nail in the head. I think that’s probably the game changer for me was you hammering that point in the podcast like, yeah, it’s about making money but it’s about long-term like I know like my fourth and fifth reorder I’m going to be crushing it. It took me two orders to get recognized by Amazon. First order, like I said, I probably lost money. I think I lost around $500 or $600 total, but I knew that going in. I think that’s really important for the listeners to understand. If you’re trying to build a business or a brand, it’s something that you got to expect. I’m not saying it’s going to happen, but your goal is to get noticed and buy as many eyes as possible in a blast. I get it all the time. It’s like, “Well, how much money did you make?” Again, you’re not asking the right questions, personally. It’s like it’s not about the money. It’s like if you look at where I am compared to where I started from day zero, I’ve got to page 1 in three days and then the organic sales started kicking in. Again, it’s those little things that I feel like a lot of people like these gurus don’t teach. It’s like, okay, do this, do this, do this but they don’t tell you why or how. You understand what I’m saying? [00:53:46] Aman: Like, just your PPC training alone was I was like, “Wow.” You’re going through it. You’re explaining why you should do this, what the benefits are, and it’s not like just follow this to a T and magic is going to happen. That was really important to me because like yourselves, I’m in it for the long-term and I got to do the right things, in the beginning, otherwise, I was just going to pick up bad habits. [00:54:08] Scott: Yeah. 100%. I mean, like you said, I think we got to drive that point home is like if you are going at this business that I want to put $1 in today and get $2 out tomorrow, it’s the wrong mindset. That’s a mindset thing again, right? I’ve never come on the podcast and said that should be your strategy. What I’ve always said was at a minimum six months you should just keep reinvesting, minimum. If you can go longer, go longer because the more you can fuel. Just like you, if you start making the profit on the next run, you should take that profit and roll it into product number two. [00:54:48] Scott: And that’s exactly what we did in the new brand and, I mean, we’re on record pace right now. We ran out of inventory on almost all of our stuff after fourth quarter, but we still had a killer month and we just cut some inventory back in as we speak but we didn’t plan on pulling any profit until we’ve seen that we were in a positive and that we had more than one SKU because it’s so important to launch more than one SKU to do exactly what we’re talking about with the variations. Keep that listing live even if you run out of stock on one of those SKUs. And it’s like keep it living, keep it breathing, but again going back to the mindset, yes, people need to understand that if you want to go ahead and put a dollar in and get two out, you either do service business like you said like what you’re doing, right? You go out there and you find something you could help people with and you get paid for it on a service-level or you go out there and you can flip product, do retail arbitrage. You can go out there and I’ve done it myself in the past. I mentioned my little bridge story where I went out there and found these cedar bridges that when the garden market and I bought them for $30 and I sold them for $130. Like, you flip products like it’s totally doable but it’s not a business necessarily or a brand. So, you just got to keep that in mind and when you are launching your first run of product or your first order or your second order, it’s really to get things moving and to get yourself on the map. If you understand that, you’re not going to go in there with expectations if you’re going to walk away with a bundle of money in your pocket on the way out. You’re just securing your brand and you’re really kind of getting the root set for that brand and I think you’re doing an amazing job and you’ve got a great mindset so you’re going to do great. You’re going to do great. [00:56:34] Aman: I appreciate that, Scott, but I mean if you look at the way Amazon has changed its business for the last two years, it’s moving towards favoring brands. [00:56:42] Aman: You know, like with retail arb with all the people trying to sell something kind of the gates and the categories. It’s one thing. It’s actually the first business that I have seen in a long time where they’re like, “You know what, we want brands to come in. We will help you.” Whereas, if you’re out in the public, the other brands are out there to crush you. [00:57:07] Aman: The writing is on the wall in my opinion. I think that’s what they want to see. It’s great. They know this is the greatest time ever to start a brand and get on it so like there’s never been a better time or the biggest or the largest companies in the world is willing to give you the platform or the vehicle to do it. It’s just you. It’s all on you. [00:57:30] Scott: It is 100%. Well, hey, Aman, I want to thank you, man, for coming on and sharing. I had no idea where we were going to go, what direction, but I just want to get on and dig a little bit deeper into like your start but also where you’re headed and, of course, if I could have helped in any way which I hope I did here during this call but I just want to thank you again for taking time out of your day and doing this and any last little bits of advice for people that are still in that product research stage or just getting started? Any little bit of advice for them? [00:58:03] Aman: Yeah. I mean, guys, look, if you’re still stuck in that product research stage, at some point you just got to trust your gut. Yeah, you know what, people like myself, this product have done well for me, but it was never like that. It’s a risk but at the end of the day, you just got to believe in yourself and go out like whatever you put into it, you’re going to get out. So, if you’re not going to put anything into it, you’re going to get nothing out. Like I guarantee you that if you don’t do anything, you’ll make no money. I guarantee you. [00:58:38] Scott: That’s a guarantee. [00:58:38] Aman: Right? That’s a guarantee but at the end of the day, like I said, if you’re thinking long-term, if you’re thinking about building a brand, I’m telling you, you can sell anything. There are no limitations. Because when you start looking at the numbers, going in and trying to figure out, “I want to sell this product,” and you’re not thinking brand, I think for those people like it’s going to be hit and miss and the game has changed but if you decide to build the brand, me personally, if you do it right, you can compete in any category and you can compete with anybody in my opinion. [00:59:09] Scott: Love it, man. Well, hey, I want to thank you once again. Keep me posted on your progress and obviously, if you need anything, you let me know, and yeah, just keep in touch and keep rocking and rolling, man. [00:59:21] Aman: Thanks, Scott. Again, I can’t thank you enough for all the information that you provide for free. Anyone that has ever asked me said, “Where did you learn from?” I point them to your Start Here page. [00:59:34] Scott: Oh, I appreciate it. [00:59:35] Aman: That’s the honest truth. Like I said, everything is there. It’s all up to you is how you take it, interpret it, and execute. And like Scott says, you got to take action at the end of the day. [00:59:46] Scott: Love it. All right. We’re going to end on that note, man. I appreciate it and, yeah, keep me posted and, yeah, man, you’re doing awesome and you’ve got a great mindset too so thanks for sharing. [00:59:56] Aman: No. Thanks, Scott. I appreciate it, man. [00:59:58] Scott: All right. So, there you have it. Another great example of just getting out there and making it happen and I love how Aman said like you’re the only one that stands in your way and I believe it 100% I know that like we are our worst enemy in a sense because we do really hold ourselves back and Aman could’ve quit after the first product or the second product but he kept pushing on and he kept going back and saying like, “It just doesn’t feel right like there’s got to be a way that I can do this and what Scott’s talking about like building a brand that makes a lot of sense and that resonates with me.” So, there are some people that are listening and they’re like, “Scott, I just want to go out there and just make some money just flipping products.” That’s fine. You can do that. I’ve already told you that, but I really want to focus on building a brand, building something that is bigger than just going out there and flipping products like I want to be able to go out there and build something that we could potentially sell but also something that we can grow. And that’s something that we can use Amazon to help us really launch our business but then also where we can take our business and drive sales through Amazon to get some of that traffic. There’s actually a Fortune 500 company. Jason Bower, if he’s listening, Jason, what’s up? He talks all about this like they had had their own ecommerce channel which they still do. They direct some of their traffic to Amazon to spike the algorithm to go and start getting some of the organic sales. 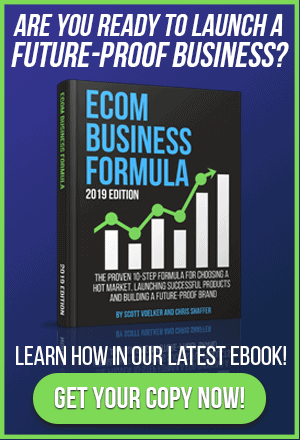 Why not use the brand to leverage the sales and all of the things that you can do to really get yourself seen and noticed on Amazon or whatever platform we’re using? So, that’s the cool thing and that’s really what I want to highlight here. The other thing I want to highlight is sometimes you overthink things or sometimes you overcomplicate things or sometimes you rely on tools to give you the answers or someone else. [01:01:54] Scott: You really need to, like Aman said, you have to sometimes just trust yourself and also understand what it will take and what’s the risk, but I really want to go back to basics really quickly and that’s why in the last episode 473, I gave you guys that 24-hour challenge. Hopefully, you did that. If you did not, go and do that now like totally free like it will get you like really far in this process and it will get you some clarity and it will allow you to see how you do that. All right. Now, for those of you that do want to have a little bit more coaching in this or a little bit more help through this process, we are doing a product discovery boot camp, something we just started. We’re actually going to be having our first class go through this right now as kind of a beta because we’re going to kind of feel it out. We’re going to see what we need to do differently or how we need to teach it or maybe we’re going to get feedback from some of the students and we’ll readdress certain areas. But it’s really a way for us to take you through the entire process from really understanding how to find these opportunities but then also how to look at a market and then how to see what products are served, how to find the market that has more reach and more potential like all of these things that are through that validation process, and then from there actually going out and doing the final validation which is finding a supplier, seeing if that makes sense, ordering samples, and then from there deciding yes or no. We’re going to be doing this live through this product discovery boot camp. If you’re interested, I would invite you to come over and check it out. If we are still open depending on when you’re listening to this, it will be closed after the first class just because we want to really go through it with them to make sure that everything we are teaching, everything that we’re going through is going to be helpful and if we need to tweak anything, we can do that. If you’re listening to this after we open and it’s open to the public you’re more than welcome to join. But head over to ProductDiscoveryBootcamp.com, you’ll get all the information, all the details there. [01:03:54] Scott: And, again, this might be something that you need just to get you through this phase because if we can get you through that phase, we can get you launched, we can get you starting to build a brand. All right and that this the ultimate goal here. All right, guys. So, that is going to wrap up this episode. This episode is 474, TheAmazingSeller.com/474 for the show notes, transcripts, all that stuff and definitely go check out 473 which I’ll also link up here because that is your 24-hour challenge. All right, guys. So that’s it. That’s going to wrap up this episode. Remember, as always, I’m here for you, I believe in you and I am rooting for you, but you have to, you have to, come on, say it with me, say it loud, say it proud, take action! Have an awesome amazing day and I’ll see you right back here on the next episode.